Couple of weekends ago, I went on a road trip with my colleagues to the scenic Bhoo Varahanatha Swamy temple, about 160 kms from Bengaluru. This temple is near Krishnarajapet, Mandya district. To avoid traffic conjunctions, we left Bengaluru at about 7 a.m. and in an hour; we were in Bidadi having our breakfast. The drive from here until Srirangapatna was awesome and the real road trip fun started from Srirangapatna until we arrived at our destination, the Bhuvarahaswamy Temple. It is a single road, very narrow and curvy. The plantations, industries and village homes were a delight to see. We stopped in couple of places, especially near the yellow flowering plants for photographs. 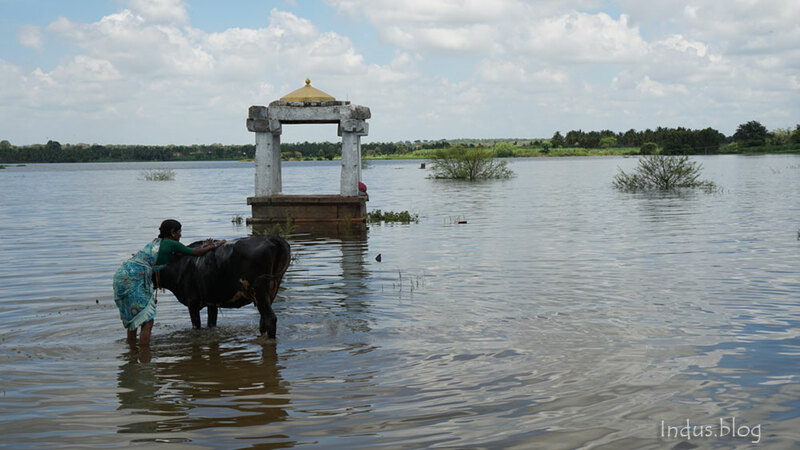 The Bhoo Varahanatha Swamy temple gives out a pleasant view of the plantations on one side and River Hemavathi on the other side. The visitors were enjoying the coracle ride. 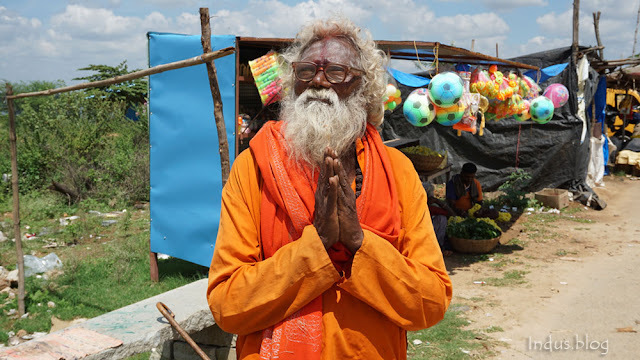 Within an hour, we completed our rituals in the temple and took a stroll towards the Hemavathi River. After a while, we left to our next destination to Melkote. First Stop - Decathlon Sports Store The Decathlon is the biggest sports store present in almost all the metros. In Bengaluru, it is present in all main corners of the city catering to varied sports requirements of the sports persons. Last week I visited the Decathlon in Bangalore Mysore road. Decathlon at Bangalore-Mysore Highway I was on a solo ride in my Bullet 350 to Mysuru when I stopped at Decathlon to buy a rainproof jacket. I had to buy just one jacket but spent more than an hour browsing every sections of the store. Trust me, for the shopaholics, the Decathlon is the addictive place. I controlled my shopping instincts and managed to come out with just what I wanted to buy. It was already 6 pm and I had to ride to Mysore before everybody dozed off back at home. I wore the jacket and started riding towards my next destination “McDonalds” where something interesting happened. Read it on my next post. I came here by chance, as I was driving through this road. In fact, I drove from St Philomena’s church via “Harding circle” and ended up parking my car in front of the temple. It seemed like I was in the right place at the right time by chance. There were fever tourists or local populace. Be aware that this “city of palace” is crowded during the weekends and I was here on a Saturday. The trick is to explore early morning. If you are an ardent devotee or just an enthusiastic temple visitor, consider visiting Sri Kalika Durga Parameshwari Temple in Vidyaranyapura, Bengaluru. Those who have already visited this temple would know why this temple is so great. 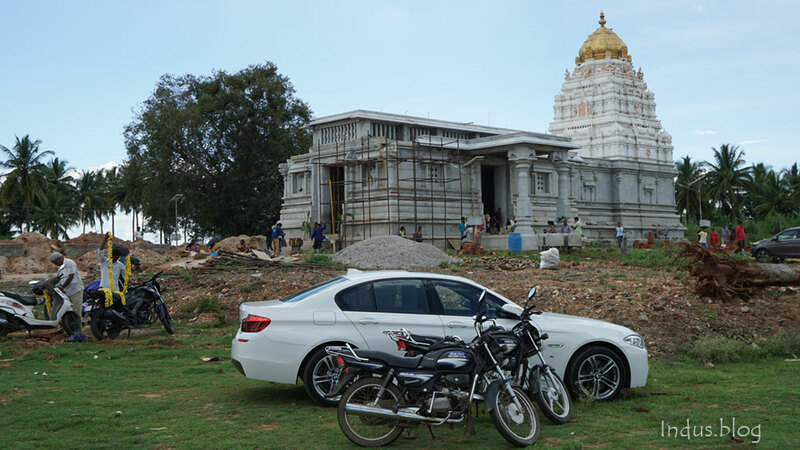 The inception of Sri Kalika Durga Parameshwari Temple dates back to 1988 and ever since seen immense progress in terms of its infrastructure. As stated in Bengalooru Toursim, large number of devotees visit this temple during Sunday when the priests perform Mahabhishekam. Other days of the week and on Saturday also sees decent number of visitors. Akhand Jyoti constitutes two words. Akhand means continuous and Jyoti means light. It refers to a lamp that is lit continuously for the period of a prayer. Malgudi Vattika Bangalore Mysore Road List of contentsIntroductionRestaurant PhotographsMalgudi Vattika - Beautifully engraved name on stoneA Quote by R K NarayanRetro styled Hanging LampsTraditional Bullock CartFire on BucketMalgudi Vattika DiningThe Gramaphone"English Telephone" - Antique PhoneCopper glasses & jars The Bicycle Food PhotographsMysuru Masala DosaRava DosaEnd Note Malgudi Vattika Highway Restaurant - Introduction Malgudi Vatika is a restaurant in Bangalore Mysore highway. When you drive from Bengaluru to Mysuru, you will come across this restaurant towards the left (very near to Bengaluru). This restaurant is special in a way that its ambience is themed based on R K Narayan’s “Malgudi Days”. Prathyangira Devi is the avatar (incarnation) of goddess Durga. The Prathyangira goddess has a face of a lioness and a body of a human. This combination of lion and human form represents the balance of good and evil. The power of Prathyangira Devi The name Prati means, “reverse” and Angira means, “attack”. Thus, Sri Maha Prathyangira Devi is one who reverses any evil attacks on humans. The Temple Sri Maha Prathyangira Devi & Jnana Muneshwara Temple in Turahalli, Bengaluruis popular among the devotees to ward off the evil effects on one self. The devotees fully believe in the powers of the temple and that is evident from so many positive reviews on the internet. Cathedral of St. Joseph and St. Philomena The St Philomena’s church or the Cathedral of St. Joseph and St. Philomena is my favorite and I always suggest tourists to Mysore to visit this church. Mummadi Krishnaraja Wodeyar built a church here in 1843. However, the present structure dates back to 1933 when Nalvadi Krishnaraja Wodeyar laid its foundation. The church was designed by a Frenchman named Daly and built in a Neo Gothic style with inspiration drawn Cologne Cathedral, Germany. The St. Philomena’s Church is now a heritage building and a tourist attraction. There are more places to visit in Mysore, please read and comment your valuable suggestions. You will enjoy Exploring Mysore and reading about this church in Wikipedia.